Looking at the other stuff ie washer/dryers this site is still 20% more expensive than other places even after using the code. Go for it! Our hotpoint managed to brake after 13 months, warranty was for 12 months. After arguing with them they agreed to fix it for £60 instead of £120. Quoted EU legislation, 2 years warranty, they fixed it. Main board broken, basically the most expensive part. Lasted 4 months (they suggested the warranty for repair is 3 months), broke again, now arguing with them. Hotpoint for me? Never again. It was a different model, but misleading customer service. Did not vote. 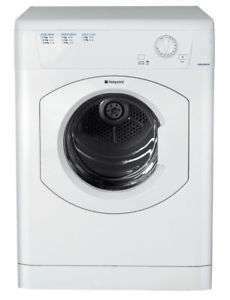 Why anyone would buy a hotpoint after the dryer fiasco is beyond me. Even if they were a great brand which sadly hasn’t been the case for well over a decade any company that takes that long to fix them doesn’t deserve customers. Go for it! Our hotpoint managed to brake after 13 months, warranty was for …Go for it! Our hotpoint managed to brake after 13 months, warranty was for 12 months. After arguing with them they agreed to fix it for £60 instead of £120. Quoted EU legislation, 2 years warranty, they fixed it. Main board broken, basically the most expensive part. Lasted 4 months (they suggested the warranty for repair is 3 months), broke again, now arguing with them. Hotpoint for me? Never again. It was a different model, but misleading customer service. Did not vote.